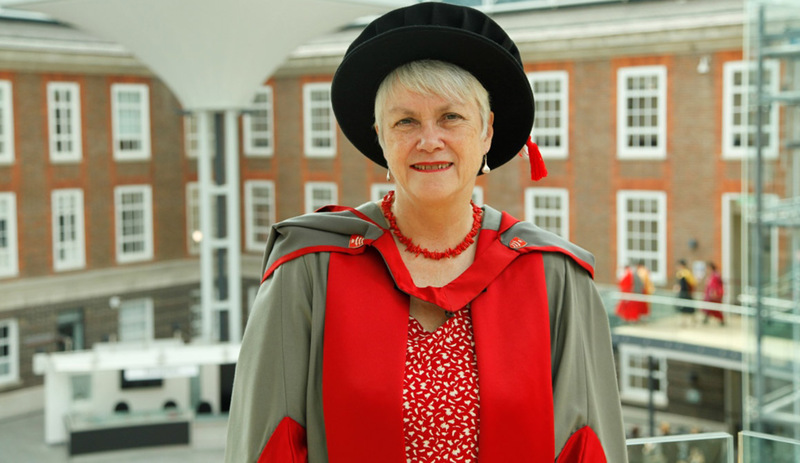 One of the UK’s best-known nursing and health policy activists, Jane Salvage, was awarded an Honorary Degree at Middlesex University’s graduation ceremony today. Jane’s training and clinical practice as a nurse in London fuelled her passion for improving the quality of health care and empowering nursing. Her book The Politics of Nursing (1985) encouraged nurses to become more vocal, and she continues to campaign against health and gender inequalities at home and abroad. She has held many senior roles, including Editor-in-Chief of Nursing Times magazine; Chief Nurse at the World Health Organization headquarters and the Regional Office for Europe; and for the Prime Minister’s Commission on the Future of Nursing and Midwifery in England. She has links with the University’s School of Health and Education, including the Centre for Critical Research in Nursing and Midwifery. “I admire their innovative and interesting work - just what the professions need to help us play our full part in shaping the future of health care," says Jane. Jane is currently working for the All Party Parliamentary Group on Global Health, and the International Council of Nurses.